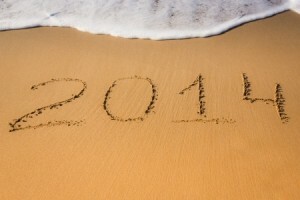 While 2013 was a year focused on marketing automation, social media marketing campaigns, and content marketing, some experts are predicting that things will change a bit in 2014. While the tools and skills that you acquired and used throughout 2013 will certainly still be relevant in the coming year, there will also be some shifts occurring, some tweaks that will make marketing even more effective for online business owners, and some new philosophies in place regarding what business owners need to do in order to reach an even larger audience. Mobile devices are certainly changing the way that people live and the way that people do business. Because more and more individuals are using their mobile devices, from their smartphones to their tablets, to check email, stay connected with friends, and even shop online, it is vitally important that businesses cater to this demographic by creating websites that are mobile-friendly. This means creating websites that translate well on small, handheld devices by being easy to read and navigate. And these pages also need to load quickly, so extras like Flash need to be eliminated in order to make sites appropriate for viewing on tablets and smartphones. To improve its search results, Google released Hummingbird in 2013, and this new algorithm focuses not so much on individual keywords as it does on meaning, concepts, and intent. What this translates to for online business owners is the necessity to create high quality content that provides more value to readers. The content should also be able to answer long queries that are often typed into search engines today. Marketing professionals within organisations will need to really analyse their target audiences, determine what their needs and questions are, and ensure that these questions are answered within the content of their sites in order to drive more traffic to them in an effort to increase sales. Social media marketing certainly doesn’t seem to be going anywhere, but in the coming year, there will be an emphasis on the tools that are used to manage these campaigns more effectively. The key is figuring out how interactions on social media can lead to more conversions on websites. More sophisticated forms of measuring marketing tactics and their effectiveness will need to be implemented in order to really figure out if social media campaigns are working or not for any given online business. As social media continues to grow, in terms of how many people are signing up for these websites around the world and how many new social media sites are popping up every day, it will be pretty much mandatory for any online business to have a strong presence on social media in an effort to lure customers into their websites to sell more products and increase profits. And remembering that many people who utilise social media are on mobile devices helps business owners really connect the dots in realising just how important it is to develop a marketing strategy that targets mobile users on social media sites.